Boost Your Trading Potential with BullsEye Markets Tradable Bonus Offerings. Designed for New traders, the 20% tradable bonus program allows Trader to protect their accounts from unfavorable situations in the market and helping them in draw-downs. Take your first step into trading with our bonus to get ahead of everyone else. We are extending and improving our Deposit Bonus program for our valued clients. Offer is Applicable: The clients with Minimum Deposit $100 and above. The Client must register for the competition via the competition dedicated page in order to get bonus. Maximum Bonus for a single client is $600/Per Client. This Bonus offer is not applicable for the traders who already engage with other active promotion. We at BullsEye Markets understand the importance of recognizing our customers and their business and reward them for choosing us. For unlimited period of time BullsEye Markets’ new members will get a 15% Rescue bonus on initial deposit. With the 100% Credit Bonus you enjoy the advantage of increased leverage when trading! The 100% Credit Bonus is intended to increase the trading volume of a client's accounts. If all requirements of this Trading Bonus program are met, the bonus sum placed in your account can be withdrawn without any limitations or restrictions. - Can be withdrawn if volume requirements are met. - Effectively brings the stop out level on cash balance to zero. - Relaxed time limit for completing volume requirements so that prudent trading is encouraged. In Forex Market there are a lot of opportunities offered to traders so that they can take more advantage of Forex Market. Top Online Forex Broker Companies has created an enormous chance for aggressive individuals who want to offer their customers the ability to trade currencies online and/or diversify into efficiently managed accounts. BullsEye Markets partnership program offers clients an exclusive package of resources that habitat them with an important benefit on the Forex trading partnership. Divided into a innovative hybrid refer Program and the powerful Introducing Forex Trading Brokers Program, the system covers a collection of partner types including Introducing Broker, Affiliates, Regional Partner and White Label Partnership. An experienced introducing broker can suggest new traders on the technical or fundamental market analysis. Introducing Broker will increase the knowledge of the new trader making the learning process faster and simpler. The introducing broker’s role is to make relationships with appealing contacts involved in Forex market. Introducing Broker can avoid mistakes and as an alternative of losing money the new traders can make some profit. Introducing Broker is the difference between losing money and making a profit. Introducing Broker can generate commission directly from their client’s trading. Can give their customers access to leading MT4 online forex trading platform. Can expand into the forex trading business which is developing at an exceptional speed and can earn potentially large cash flows while providing their clients with an excellent value-added service. BullsEye Markets IB’s can earn up to $15/per lot. Become an Introducing Broker with BullsEye Market and enjoy many of these benefits today. The first step to become an Introducing Broker is to create a partner account with BullsEye Market. Registration Period: 1st April 2019 to 20th April 2019. The Client must register for the competition via the competition dedicated page in order to participate. The client who will generate maximum profit at the end of the contest will win. Welcome to BullsEye Markets – Best Forex Broker in the Market. We have launched Demo Contest 2019 here at BullsEye Markets. This competition will bring a fantastic opportunity to prove your trading skills and receive a reward for them, in a completely risk free environment! • Registration Period: 18th March 2019 to 19th April 2019. • The Client must register for the competition via the competition dedicated page in order to participate. • The client who will generate maximum profit at the end of the contest will win. Get all your questions answered LIVE! Registration Period: All around the Year of 2019. Registration Period: All around the month. Registration Period: All around the year. The positive momentum in high-yielding assets triggered by weekend news related to the trade war was faded throughout the day, with most major indexes closing in the red.Need to monitor ECB president Draghi’s Speech and its impact on the prices of Eur. The GBP traded lower against the USD and closed at 1.2711, after the Services Purchasing Managers' Index (PMI) is a diffusion index incorporating survey results provided by firms in the services sector throughout the country. According to the news, reading is above fifty which means service sector is expanding, but lower than expected forecast (53.3, 52.2) which is bearish for GBP. The pair is expected to find support at 1.2686, and a fall through could take it to the next support level of 1.2669. The pair is expected to find its first resistance at 1.28122, and a rise through could take it to the next resistance level of 1.29147. The USD strengthened 0.22% against the JPY and closed at 112.771. The Japanese Yen has benefitted this week from a surge in risk aversion which has seen USD/JPY retreat all the way back down to the dominant uptrend line. The pair is expected to find support at 112.343, and a fall through could take it to the next support level of 111.908. The pair is expected to find its first resistance at 113.422, and a rise through could take it to the next resistance level of 114.078. 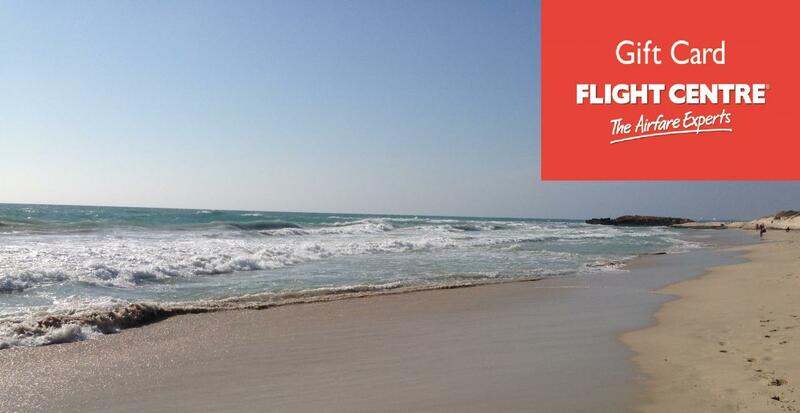 The trading contest for real Forex Jedi knights has started. Two stages. The prize fund of 25 000 USD. Just from October 6, 2017, till October 22, 2017, register in the first stage of the contest to win one of the money prizes. • Start contest trading on October 23, 2017. There will be only 10 winners determined by the Profit points: Profit points = Total Profit × Profitable days. May the profit be with you! To learn more about the contest follow this page. The 100% Bonus Program is a bonus that is added to your LQDFX account and is credit to your trading account upon completion of the volume requirements. Simply trade to gain the bonus. 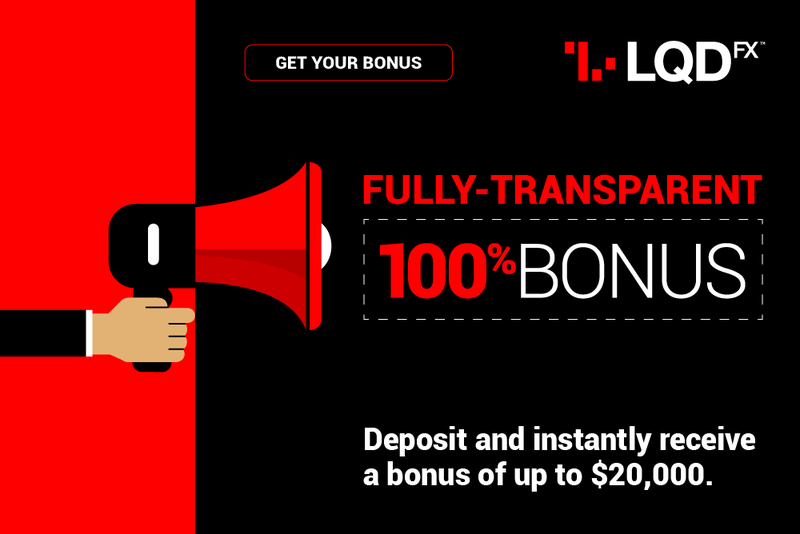 Unlike other bonuses, LQDFX will not stop from withdrawing your investment at any time, the Bonus will held in your LQDFX account and will be received upon completion of the volume requirements. No hidden fees, no hidden rules. Simply be guided through the Terms and Conditions and be satisfied that your account bonus is in line with your investment goals. IRONFX IS DELIGHTED TO ANNOUNCE THAT WE PARTICIPATED IN THE MOSCOW FINANCIAL EXPO ON THE 28TH AND 29TH OF APRIL, 2017! The Moscow International Financial Expo was a 2-day event held from the 28th to the 29th of April 2017 at the Radisson SAS Slavyanskaya Hotel Moscow in Moscow, Russia. The Expo included workshops, seminars and interactive training sessions from experts in the industry. It presented the perfect opportunity for our new and existing clients to learn more about our products and services that are combined to create the world’s best online trading environment. Our team welcomed and addressed all of the attendee’s questions while offering valuable advice and insights on our products and services. IronFX gratefully received some positive feedback and established new relationships with the expo attendees, demonstrating the resounding success of the event. We would like to thank all of those who attended the expo and we look forward to keep supporting all of our clients through our unparalleled trading experience. HOT BONUS FOR ALL THE CLIENTS! As a New Year gift we double our regular no-deposit bonus and give 2017 DOLLARS instead of $1 000. Promo campaign is available for all the clients without exception. We give 2017 DOLLARS to new clients just for registration on our website. If you are already FreshForex client, you can for the first time get a bonus account with 2017-DOLLAR deposit. All you need to do is deposit $100 or more. Formax Prime Capital to start VPS Sponsorship program. Formax Prime Capital are pleased to announce its partnership with CNS - a leading Virtual Private Server provider. Clients can benefit from 24 hour telephone support and 100% UTG. Formax Prime Capital will offer a 100% Sponsorship program for traders using the CNS VPS. For more information please contact support@formaxmarket.co.uk or call 44(0) 203 819 3100 . FXPRIMUS is delighted to announce that the company has enhanced its clients’ fund protection. In addition to the existing coverage mandated by CySEC, FXPRIMUS has taken the unprecedented step to offer to its Clients up to EUR2.5M worth of additional insurance coverage. We are pleased to offer this coverage to our clients absolutely free of charge, and best of all is the coverage is underwritten by Lloyd’s. AxiTrader is always interested to hear your comments so we can continue to improve the services we offer. The biannual Investment Trends’ Trading Behaviour Survey is a great way for us to receive your feedback. We would like to hear about your trading, investment and education needs and specifically how we can improve our services to you. Thanks for your time and best of luck in the prize draw. The HotForex VIP Contest 2016 is still running! Register now to win USD 5,000 and an all-expenses-paid trip to Cyprus where you get a chance to meet the broker! Other winners will be able to claim four more prizes from the overall pool of USD 10,000. A visit to the HotForex offices plus a 3-hour professional Forex trading course. Create an account now and make your way to these and some more amazing gifts! LOOKING FOR THE BEST FX DEAL? Now is the best time to try out what FxGrow has to offer. Thanks to our new promotion, all FxGrow clients are entitled to receive 100% Margin Bonus on the next deposit!